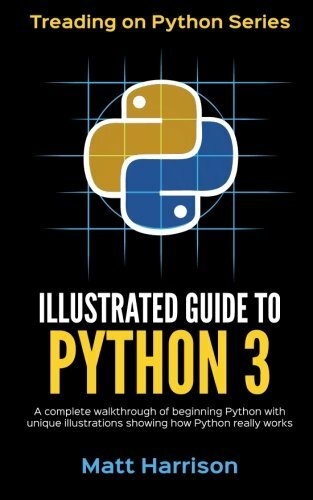 Illustrated Guide to Learning Python is designed to bring developers and others who are anxious to learn Python up to speed quickly. Not only does it teach the basics of syntax, but it condenses years of experience. You will learn warts, gotchas, best practices and hints that have been gleaned through the years in days. You will hit the ground running and running in the right way. Python is an incredible language. It is powerful and applicable in many areas. It is used for automation of simple or complex tasks, numerical processing, web development, interactive games and more. Whether you are a programmer coming to Python from another language, managing Python programmers or wanting to learn to program, it makes sense to cut to the chase and learn Python the right way. You could scour blogs, websites and much longer tomes if you have time. Treading on Python lets you learn the hints and tips to be Pythonic quickly.